Ritual is a powerful means to bring about intended, desirable change. In the tradition of ancient Egypt the alchemist or magician uses specific actions and potent formulas to imbue ritual with power and strength and directs their magical will and intent towards a predetermined objective, bringing into manifestation the desired change or outcome. 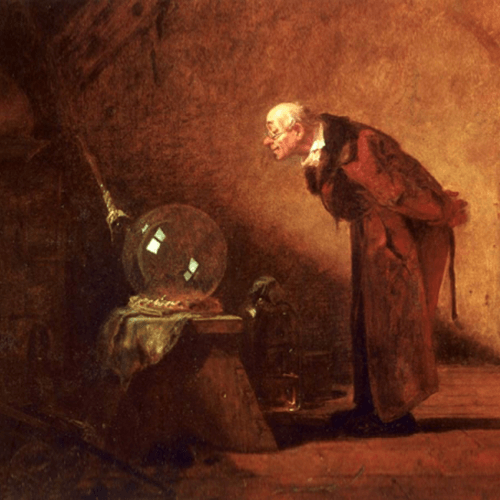 Through eighth ray ritual, the alchemist or magician moves out of ordinary or mundane mind into alignment with the inner alchemist or magician where they can effect and unfold subtle but extraordinary changes to their reality. 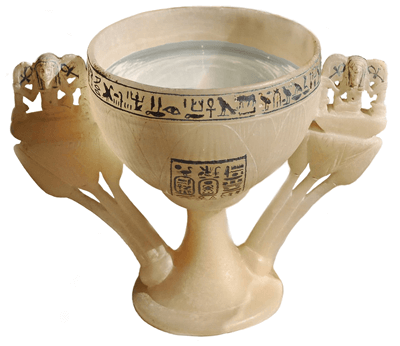 The use of a specially dedicated vessel or chalice in the magical art of eighth ray ritual creates a necessary and powerful point of focus. The ritual magician uses the chalice as a focal point for the magical will in order to manifest the outcome they desire. The chalice is a symbol that represents the great cosmic waters, the waters of creation. It also represents one's own self as a receptacle which holds the celestial powers drawn from the heavens. An alchemist or magician working in this way aligns themselves with the centre of the universe from where they can manifest and create the change they desire. 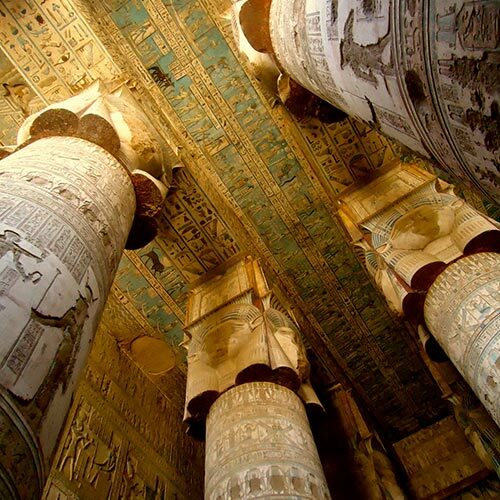 Ceiling artwork from the Temple of Hathor, Dendara, Egypt. Find out more about the importance of ritual and how ritual can enrich and empower your life. 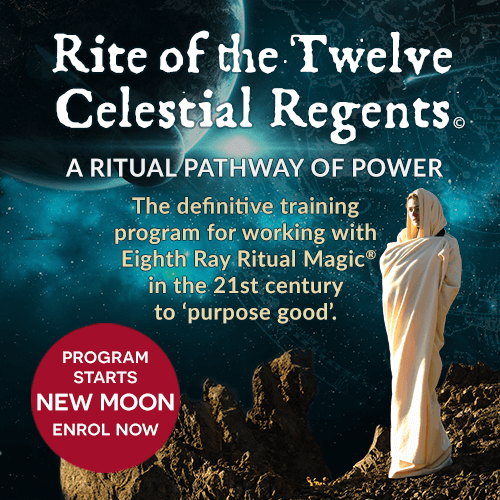 Our Rite of the Twelve Celestial Regents online program will empower, transform and enable you to create extraordinary change in your life. Learn the deeper meaning and significance of the magical art of ritual and how you can apply it in your life. 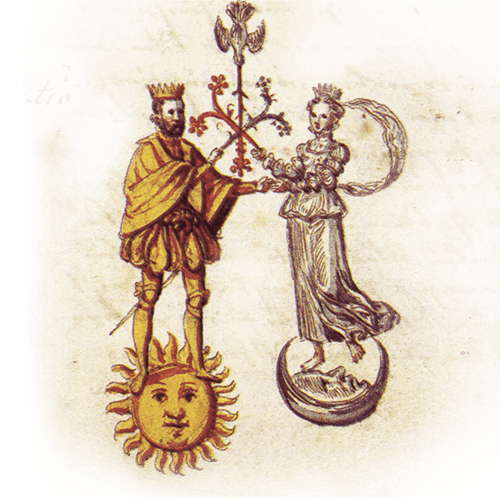 The Rite of the Twelve Celestials program is open for those wishing to work magically with eighth ray ritual in the twenty-first century. This spiritually regenerative program is a fully experiential pathway. It has inherent within it a ritual discipline that has all the required magical processes necessary for working and communicating with the ancient sky gods and goddesses that are the planets of the celestial realm. Sign up to our mailing list to keep up to date with what is happening in the world of eighth ray magic. 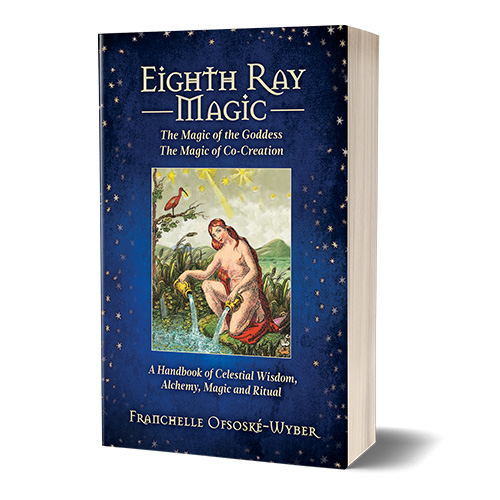 Discover the book - Eighth Ray Magic the Magic of the Goddess, the Magic of Co-creation by the creator of eighth ray magic Franchelle Ofsoské-Wyber. This 512-page book reveals for the first time the secret alchemical operation on antidoting the ‘poisons of spirit’ and provides the information necessary to unlock the secrets of the universe. It shows you how to work with tides of celestial power and the power of Eighth Ray Ritual to create a dynamic magical life and alchemically transform your holistic organism to live a more empowered life.